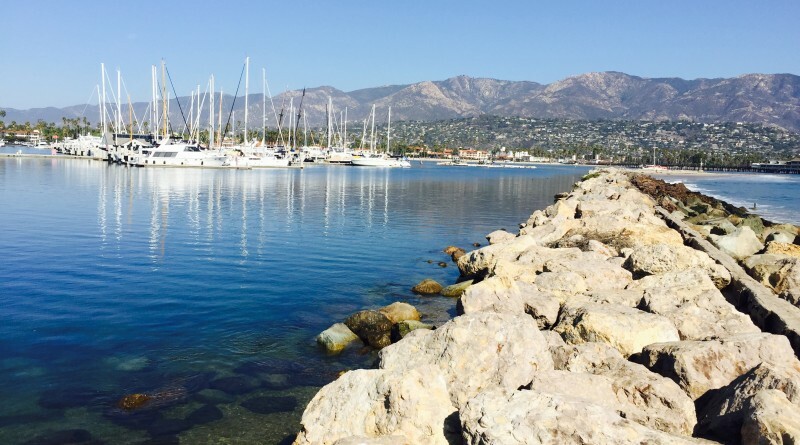 Seven applicants have applied for two open positions on the Santa Barbara Harbor Commission, an advisory board that recommends and advises the City Council in all matters pertaining to the harbor. SANTA BARBARA — Santa Barbara’s Harbor Commission will finally have its two vacancies filled this summer, it was announced on May 19. The advisory board and public agency, which has been shorthanded through the first half of 2016, will be brought to its full capacity of seven members. Commissioners also reviewed an annual report of Santa Barbara Harbor’s Clean Marina Program and were updated on a Stearns Wharf project and the status of the rock crab fishery. Waterfront Director Scott Riedman said there are seven applicants for the vacancies; the City Council has been interviewing candidates. Riedman said appointments would be made by June 28 and seated at the July 21 Harbor Commission meeting. The Harbor Commission has been functioning with two vacancies for the past few months. Helene Webb did not seek a second term as commissioner after her first four years expired in December 2015. Dennis Power stepped down from the dais at around the same time after serving the commission for two years. Commissioners received its annual report on Santa Barbara’s Clean Marina Program, which was adopted in 2002. The program’s goal is to execute best management practices and policies to maintain a clean harbor environment. Six elements make up the Clean Marina Program: facilities for boaters; water quality; best management practices; pollution prevention; education; and, compliance and enforcement. The recent annual report found the harbor’s five sewage pumpout stations were used for 5,218 minutes during the 2015 fiscal year and diverted 200,000 gallons of effluent to Santa Barbara’s sewer system. Boaters also used the bilge water pumpout at a higher rate last year the collective average of the previous 12 years. For the third year in a row the harbor’s maintenance staff replaced 10 debris nets at the end of finger docks. There are 40 debris nets in the harbor to help boaters remove light debris. More than 4,600 gallons of waste oil was disposed of last year; the city collected 180 marine batteries in 2015. Harbor officials also monitor the recycling of fishing lines. Anglers deposited an estimated 5.5 pounds of fishing lines at Stearns Wharf in 2015 (down from 8 pounds in 2014); 27 pounds of line were collected from Stardust sportfishing (compared to 25 pounds in 2014). Santa Barbara Harbor spent, in all, $67,214 on the Clean Marina Program in 2015, though $35,134 of that amount was offset by grants and reimbursements. The largest line items were abandoned vessel disposal ($16,434) and used oil disposal ($10,400). Karl Treiberg, Santa Barbara’s waterfront facilities manager, said the city recently completed its annual physical inspection of Stearns Wharf piles and timbers and determined the necessary structural upgrades to be made. Construction began in late-April and was scheduled to be completed in late-May. Schock Construction won the bidding process to perform the pile-driving contract; it’s low bid of $114,900 beat out two other bidders. A few tweaks to the project were made along the way. Harbor Operations Manager Mick Kronman updated commissioners on the late opening of the rock crab fishery, which had been shut down for months after the species was affected by domoic acid and posed a public health threat. “The state officials have opened the entire coast and they’ve opened all of the Channel Islands now except for one tricky little spot [between Santa Cruz and Santa Rosa islands],” Kronman said. The area Kronman referred to is where a significant number of island rock crab land in the Santa Barbara area. A legislative committee hearing was held in Sacramento on rock crab fisheries and domoic acid in April to determine protocols for managing fisheries while balancing public health concerns. Santa Barbara is part of a region where rock crab fisheries bring in a significant amount of revenue.